There’s nothing like a warm bowl of soup during a cold evening! 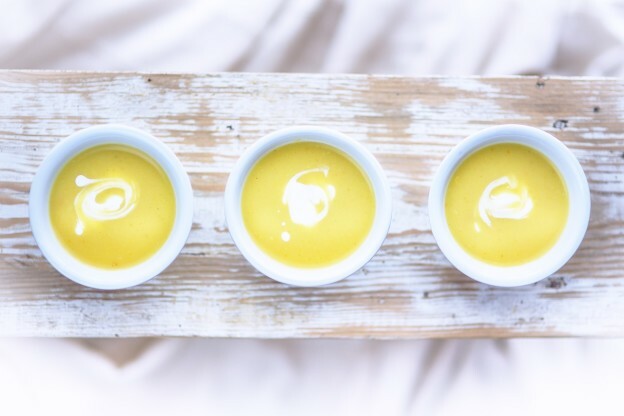 Try one of these nourishing and nutritious soup recipes. 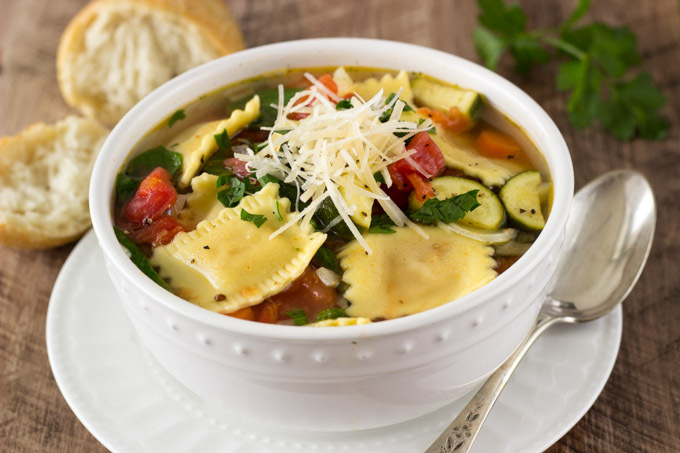 This delicious soup is loaded with plenty of fresh veggies, including spinach, zucchini, carrots and tomatoes. Add in your favorite fresh ravioli for a complete meal! 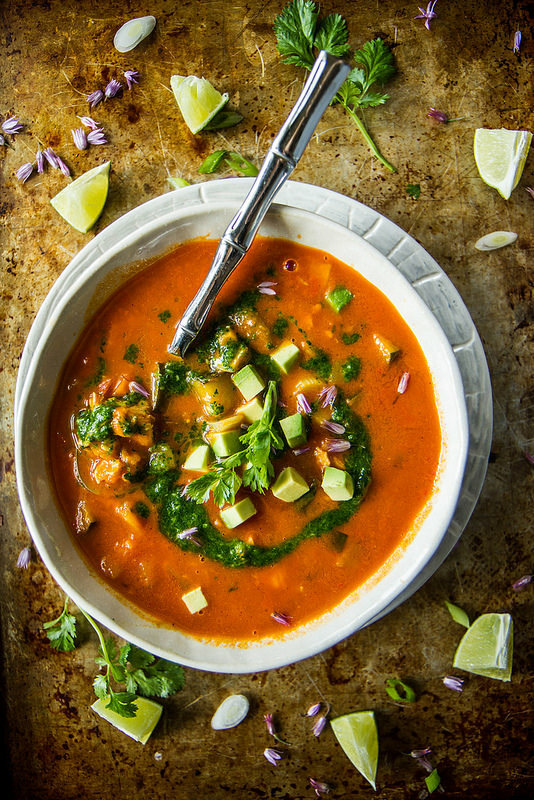 This smoky, spicy soup is full of vegetables and lean protein from the chicken. Top it all of with a delicious and flavorful spicy cilantro sauce. 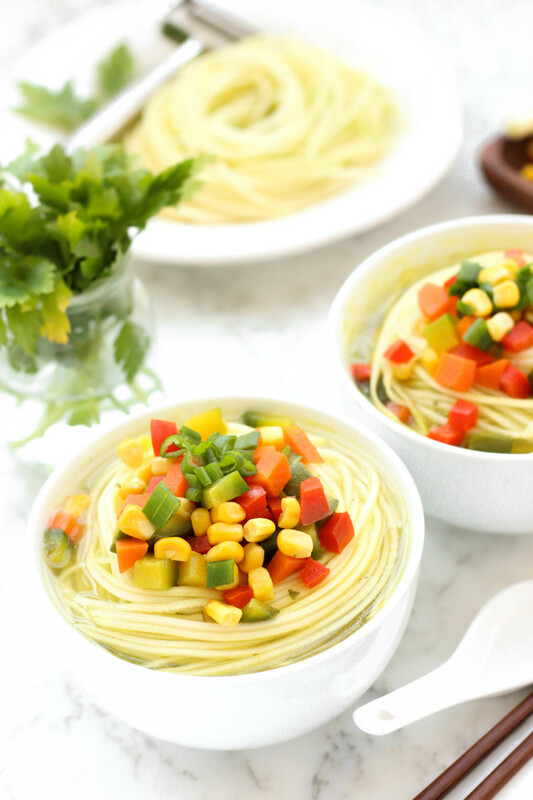 Go low-carb with this healthy vegetable soup make with zucchini noodles. Excellent for keeping your immune system going strong throughout the colder months. 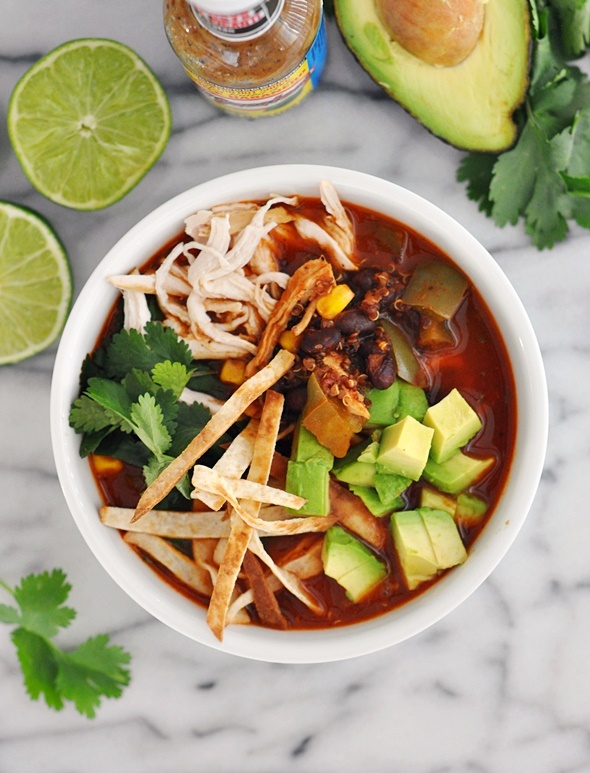 Nutrient-dense sweet potatoes and black beans are the base of this vegetarian-friendly soup. Top with Greek yogurt and avocado to take things to the next level. 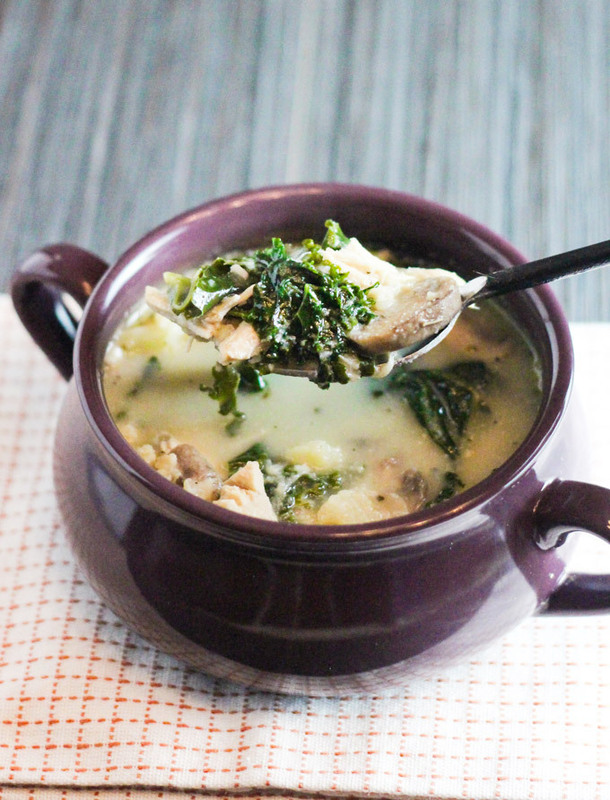 With chicken, kale and mushrooms, this soup is packed with nourishing ingredients. It gets it’s creaminess from a combination of almond and coconut milks, making it a dairy-free option! 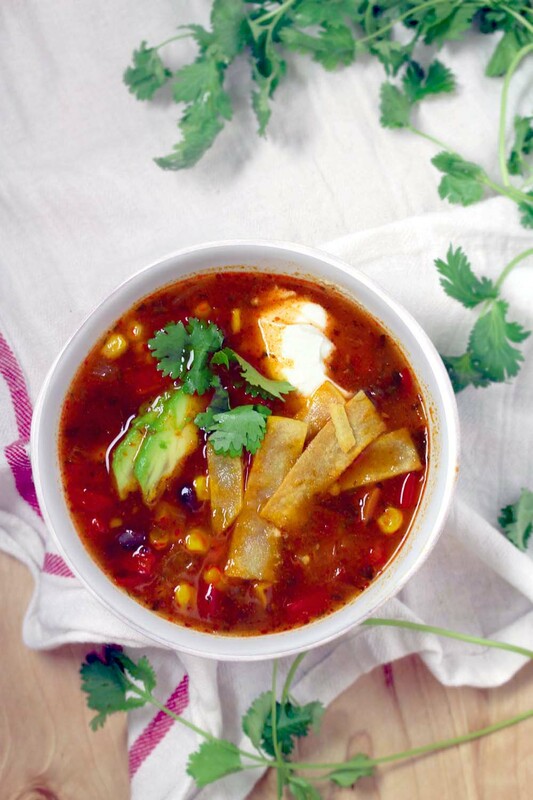 If you love enchiladas, you’ll love this soup! Garnish it with lots of toppings including cheese, cilantro, avocado and fresh lime. 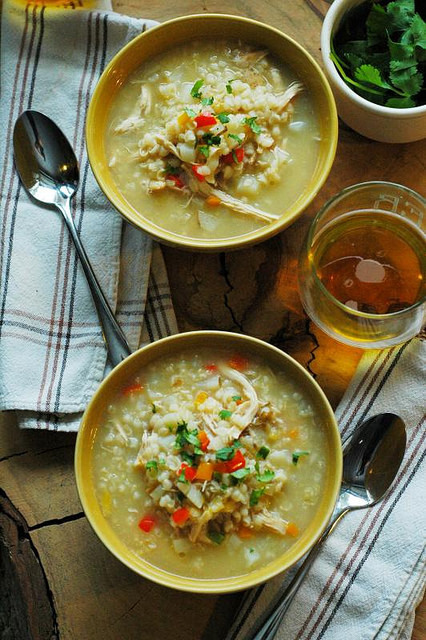 Make this soup with leftover chicken and rice for a quick but nourishing meal. Adding potato gives it that creamy texture without any cream. 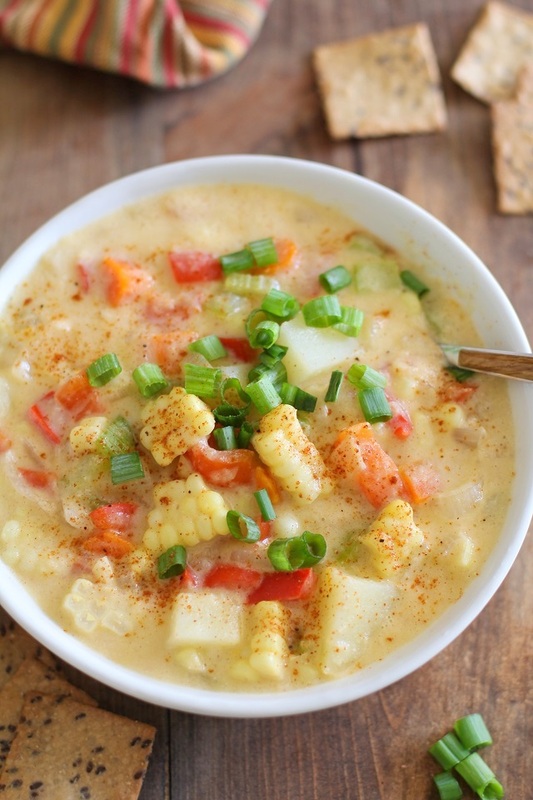 Chowder is traditionally loaded with fat from heavy cream, but this vegan-friendly option uses blended corn and potato to add creamy texture while keeping things healthy. 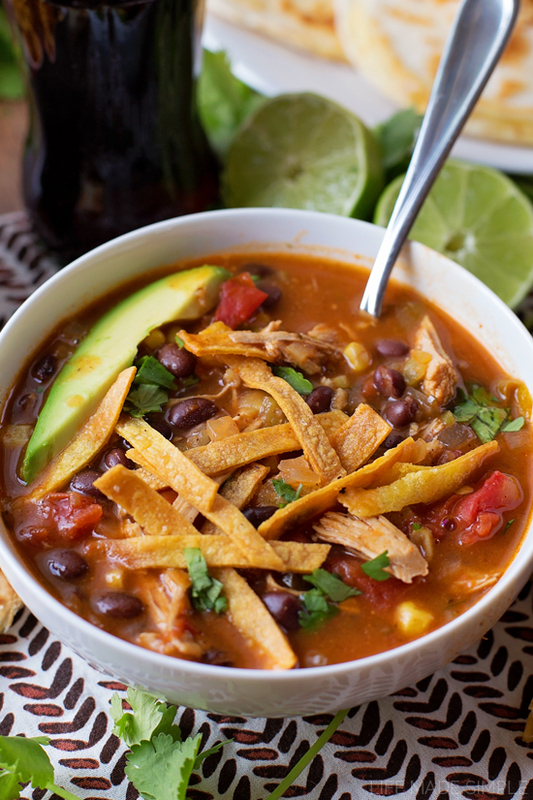 With chicken, quinoa and black beans, this soup is packed with protein. Top with homemade crunchy tortilla strips and avocado. 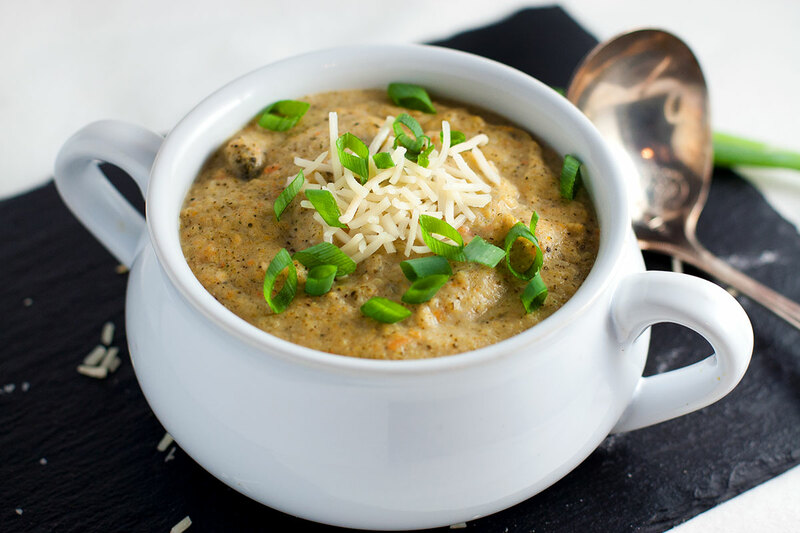 This comforting, cheesy soup will satisfy all your cravings – but it’s also loaded with veggies! Try switching up the cheeses you use to give it a different flavor. 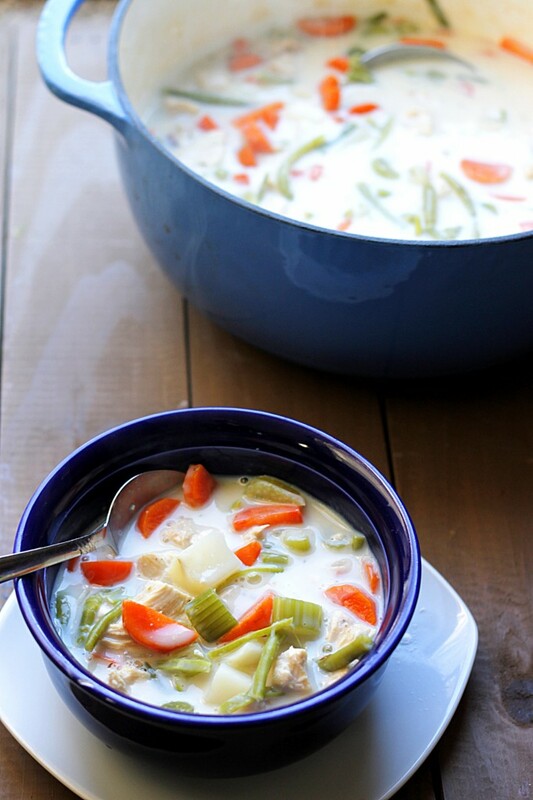 Get you fix for chicken pot pie with this lightened-up soup recipe. Each bowl has all the flavors of chicken pot pie you love, along with green beans, carrots, potatoes and chicken. This entry was posted in Nutrition Tips, Recipes and tagged healthy dinner, healthy eating, healthy recipes, healthy soup, healthy soup recipes on October 6, 2015 by Janelle Martel.